People who suffer from lower back pain are encouraged to help with their own recovery by exercising and getting physical therapy. The knowledge and tools needed to accomplish this however aren’t always at the ready. 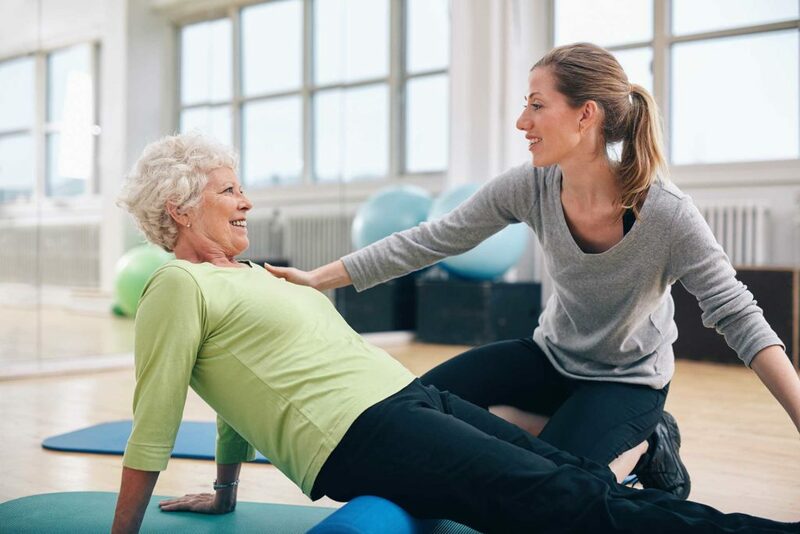 We teach Exercise Rehab in order to encourage the activeness of a patient as well as making sure they are do no further harm to pre-existing injuries. Rehabilitation is the process of restoring strength, flexibility, endurance, and power. After an injury or surgery, exercise is essential for a safe return to active lifestyles. The goal of exercise rehabilitation is to regain full function of your body. This is achieved through functional exercises, balance, and proper movement. Rehabilitation exercises should begin as soon as possible after the initial injury. A complete rehabilitation program is necessary to prevent re-injuries and achieve optimal recovery. Exercise rehabilitation can treat all areas of the body, including but not limited to: ankles, hips, knees, core, back & spine, shoulders, arms, and hands!